Kong Yam is a founder partner of the Firm. He read in the chambers of Kadir Kassim at Kadir, Tan & Ramli, and thereafter served as a legal assistant in Kadir, Tan & Ramli until 2000, after which he was made a partner. 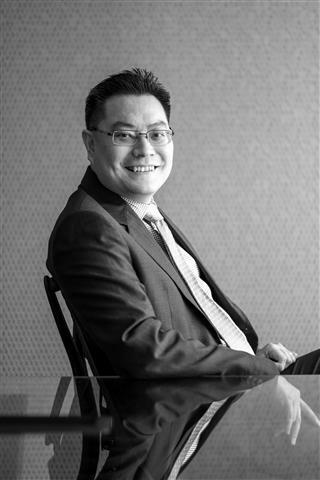 Kong Yam currently heads the Firm’s corporate practice and his experience encompasses mergers and acquisitions (“M&A”), capital markets, financial services advisory, corporate real property (including real estate investment trusts) and general corporate advisory and transactional matters. During the period of consolidation of the Malaysian financial institutions and stockbroking companies, Kong Yam was actively involved in the acquisitions and subsequent mergers of a substantial number of such institutions, including Kwong Yik Bank, Sime Bank, Delta Finance, Interfinance and Bank Utama. In the context of public company M&A, Kong Yam has advised on the takeovers and/or privatisations of Proton Holdings Berhad, Samling Global Limited, Lingui Developments Berhad, Glenealy Plantations (Malaya) Berhad, Inti Universal Holdings Berhad, Tradewinds Corporation Berhad, KFC Holdings (Malaysia) Berhad and QSR Brands Bhd. the establishment and listing of the country’s first national exchange traded fund (ETF) which is also Asia’s first Shariah compliant ETF. Copyright 2018 Kadir Andri & Partners. All Rights Reserved.